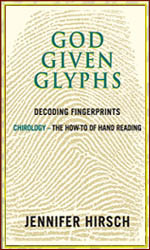 God Given Glyphs – A new Book about Fingerprints & Five Elemental Chirology! What is 5 Element Chirology? Chirologist Jennifer Hirsch – founder of the Chirology Center of South Africa – presented last year her self-published book – titled: ‘God Given Glyphs’. An authentic pioneering book in the field of hand reading, which has been recognized by fellow (elemental) chirologers as a new milestone in the history of chirology! An authentic, dedicated book about modern hand reading, featured with a beautiful 3-dimensional cover. The unique character of ‘Five Element Chirology’ lies in the origins of ancient Buddhism. The Buddhistic philosophy describes how “the principle of graduated materiality” manifests through the four elements ‘earth’, ‘water’, ‘fire’, and ‘air’ are graduates from the fifth element ‘chi’. Where ‘chi’ represents the highest teachings of love, compassion and foregiveness. ‘Five Element Chirology’ describes how the five Buddhistic elements can be studied through the shape and features of the hands. 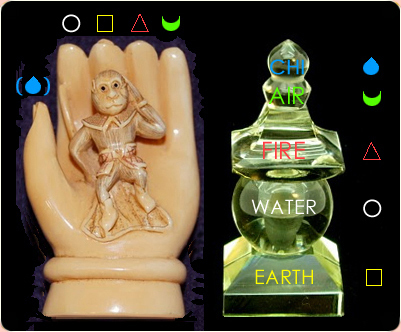 In ‘Five Element Chirology’ each finger relates to one of the 5 Buddhistic elements. Hand analysis: scientific palmistry course! 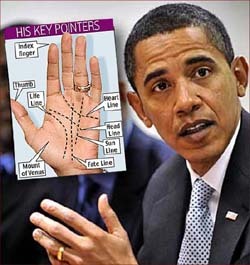 palmistry course on the basis of scientific facts! A 33 pages hand analysis course about how diseases, syndromes and psychological problems manifest in the features of the human hand. Why is Down’s syndrome often featured with a ‘simian crease‘ or a Sydney line? 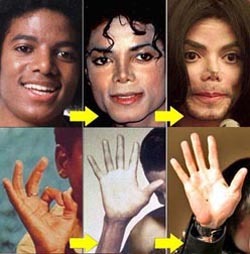 About diseases, syndromes and hand characteristics. What are common hand features in schizophrenia? About the link between the brain, dermatoglyphics, and other hand features. About hand features that related to developmental problems, personality characteristics, and low intelligence. Psychology research & the human hand! In 1998 neurologist Frank R. Wilson published a book titled: “The hand: how its use shapes the brain, language, and human culture”. The book was written into the premise that the hand is as much at the core of human life as the brain itself. The human hand appears to be a miracle of biomechanics, one of the most remarkable adaptions in the history of evolution. The hands of a concert pianist can elicit glorious sound and stir emotion; those of a surgeon can perform the most delicate operations; those of a rock climber allow him to scale a vertical mountain wall. 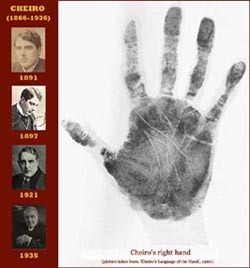 In his book Wilson makes the striking claim that it is because of the unique structure of the hand and its evolution in cooperation with the brain that Homo sapiens became the most intelligent, preeminent animal on the earth. 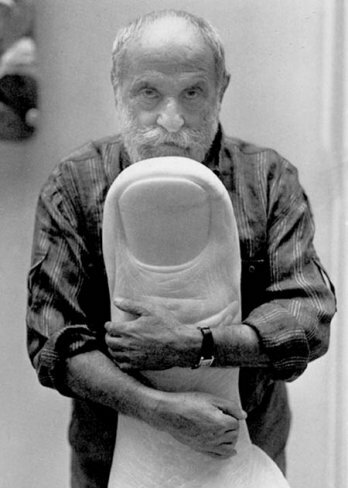 And the thumb – Wilson dedicated a full chapter to what he calls the ‘The Twenty Four Karate Thumb’ – played a major role in the evolution of human kind. 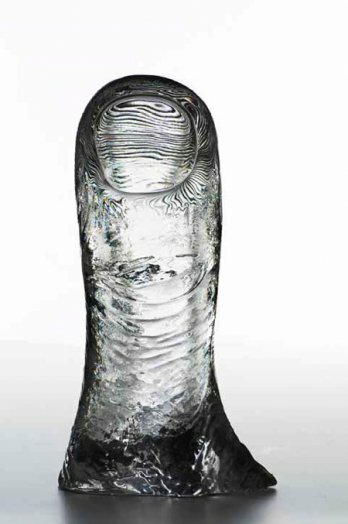 The french sculptor César Baldaccini must have had likewise associations while making his famous sculpture ‘The Thumb’ (Le Pouce) – first presented in 1965 in Paris, today you can see it (in bronze or marble) in museums and public places all over the world – see the pictures below. Palmist Myrna Lou Goldbaum presents Palmistry from Boulder, Colorado! “In palmistry one learns to harness the unlimited powers of insight, creativity and spirituality. It allows changing mindset to make emotions, positive and negative, work. Palmistry can answer all “your” individual questions by unlocking the secrets. Discover your hidden talents and abilities.